The Parents Council of Nashville (PCN) has successfully facilitated community networking and the sharing of information concerning parenting issues of children grades 5-12 for twenty-six years. At the inception of PCN few parenting resources existed. Time and technology has created opportunities to hear experts in specific issues affecting teens and gender specific issues. Our community is blessed with a rich heritage of parents interested in seeking knowledge to successfully meet the needs of their families. PCN recognizes how fast the pace of our culture has increased. Because everyone is busy it has been increasingly difficult to find leadership. We are now at the place where we cannot secure full board occupancy. We have invested monies and considerable effort creating our website. It is filled with twenty-six years of parenting information, much of which is timeless. Our website has been accessed from all over the United States and as far away as South Africa. Because of this activity the board voted to keep the website open through February. We will then examine continuing interest and estimate the value of keeping it available until our resources are exhausted. We will still offer our parenting handbook "A Delicate Balance" for $5.00 a copy to support the website. We also still have a video library available and this resource is free for community use. You may contact Susan Henry at smghenry@aol.com for details regarding the book and the video library. The board of the Parents Council of Nashville deeply appreciates your years of support. Please feel free to contact me should you have any questions. Make excuses for her behavior. Model a lack of responsibility yourself. Julie Stephens - October 6 Speaker! Julie Stevens holds a BA in English from UCLA and a Masters in Counseling Psychology from Lewis and Clark College, Portland, OR. She spent twenty years as an educator in a variety of school settings from high school to the college level. She has worked in a preparatory independent school serving pre-school through 12th grade that included an upper school boarding program; and in a suburban elementary school from families with financial hardship. She taught high school English, humanities, and religious studies. She has worked as a family counselor. She was a school psychologist. She was a CASA (Court Appointed Special Advocate) for foster children. She has had the opportunity to work with a broad range of students and families. Since 2004 she has served on the board of directors for the Center for Spiritual and Ethical Education. She has also been a member of CSEE’s Moral Development Team, a panel of educators from independent schools across the United States and Canada who have trained with some of the leading researchers in the area of moral development, and who have led workshops and collaborated on publications aimed at helping school communities develop effective character education programs. Since 2005 she has served on the board of directors for the Oasis Center. The psychological and educational welfare of young people is her passion, and she believes that fostering homes, schools and communities that promote moral growth is the most important work she can do. Last but not least, her views on parents, kids, and moral development have been formed by the humbling experience of parenting (with her husband) three now grown children. The Parents Council of Nashville (PCN) is a volunteer nonprofit organization whose purpose is to encourage, support and educate parents of Nashville’s youth. We are currently comprised of twenty public, private, and secondary schools in the Nashville area. We take pride in being the only organization that brings parents from the Nashville area together for the sole purpose of raising mature, responsible and self-sufficient youth. We began in 1985 with approximately fifty parents and thirteen schools chaired by concerned Nashville parents Beth Campbell and Margaret Dye. We have grown considerably since then, and have benefited greatly from the contributions of past presidents and council members. Among other things we can be credited for creating the parent networking organizations that now exist in so many of our schools. To facilitate the exchange of information and ideas of topics of interest and to support parents and the community through awareness, educations and communication. PCN activities will be suspended until further notice. The Website will remain up until February. If you have any questions please contact us. We are a conduit to resources in the Nashville community through the publication of our book A Delicate Balance and through our website. This helps us to promote relationships with community agencies and organizations. We have a video library of past speakers. These are available for loan by contacting PCN council member Susan Henry. 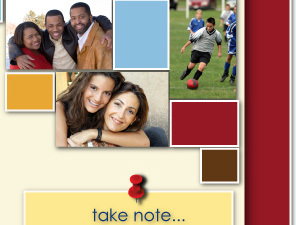 We promote educational events for parents on our community calendar. We facilitate networking opportunities between member schools in our area. We host speakers and parenting events open to the Nashville community.